Like lots of folks, I’ve taken a much stronger interest in bitcoin as an emerging technology of late, especially after the runup and crash of November this year. While there is a ton of volatility in bitcoin, I can’t help but be optimistic about its place in the future. I’ve put together this list of resources which I’ve found useful in getting to know how to understand and use Bitcoin. Enjoy. What’s so great about Bitcoin? It’s a payment system that’s extremely fast, reliable and most of all, inexpensive. It lets you purchase on the Internet without the need for credit. It also lets you do what you want with your money without having to involve a bank or credit institution, no matter the size of the transaction. And it lets you give money to family and friends, just like you can’t do with a credit card. If you’re a small business, you can also receive money without an expensive merchant account or the risk of chargebacks and asset freezes. Before we start, I know there’s one question that’s killing you: is it Bitcoin, bitcoin or BitCoin? If you guessed BitCoin, wrong answer, that’s right out. Generally, Bitcoin with a capital B refers to the underlying payment network and protocol, the technology which makes bitcoin possible. Bitcoin with a little b refers to the unit of currency which gets paid over the Bitcoin network. You own and pay with bitcoin. You use the Bitcoin network and providers typically supply Bitcoin services. Plural or singular? Nothing says newb to me like hearing “bitcoins”. That’s just me though. While the community seems to prefer using the singular all the time, you do hear people talk about “bitcoins” periodically, especially when they are talking to someone who doesn’t know anything about the subject. Don’t feel bad about calling them bitcoins if you want though, it’s up to you. I prefer the singular. Generally I list things here in the order which I recommend them, but investigate your options and decide for yourself which suit you. Basic information for those new to Bitcoin. Further down the rabbit hole. Take the red pill, Neo. 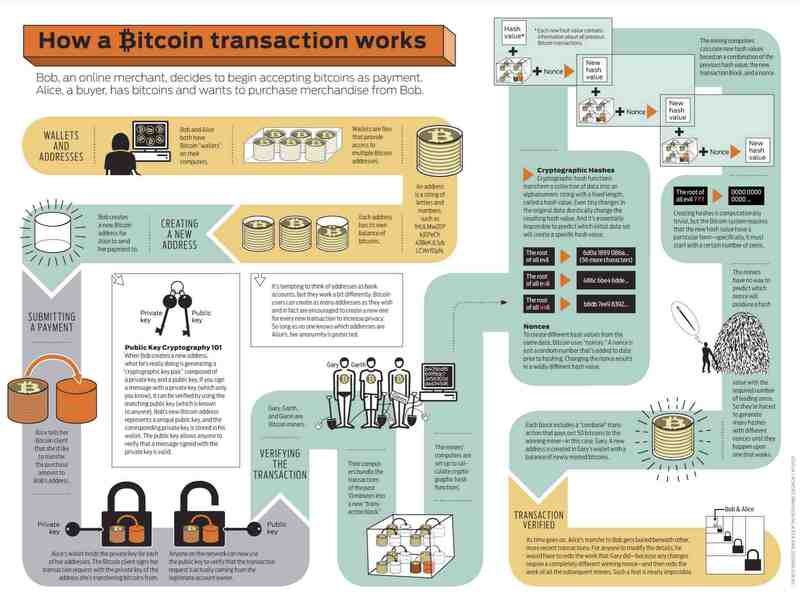 The Truth About Bitcoin - Good info, albeit from a particular political viewpoint. Not for everyone. Don’t even think about buying bitcoin without reading some of these first. A warm, cozy home for your bitcoin. Don’t be afraid to get your feet wet, but it’s still a little bit of the wild west out there. Caveat emptor and don’t risk more than you can afford to lose. Reportedly not all banks are friendly to bitcoin, but it’s mostly an issue for businesses rather than consumers. You also don’t need a bank to help you buy bitcoin if you use some of the services below. Services which help your business accept bitcoin and convert to dollars. Before trusting any Exchange with your funds, verify that you can transact a small amount both into and out of their site. Also do your research on their reputations. People do lose money to some of them. The fact that I’m listing any here is not an endorsement. Caveat emptor. Always use 2-factor authentication with a generator such as Google Authenticator or Yubikey. SMS or email is not secure as a second factor. Whatever you do, do not use bter.com. There is a whole lot that is unclear yet with regards to taxes. Bitcoin is unlike other investments and the IRS has no bitcoin-related guidance to my knowledge. Don’t neglect to keep records and pay taxes on your bitcoin transactions. You’ll probably want to give your accountant a heads up so they have time to read and understand about Bitcoin before they have to do your taxes. Enjoy and raise awareness for Bitcoin!